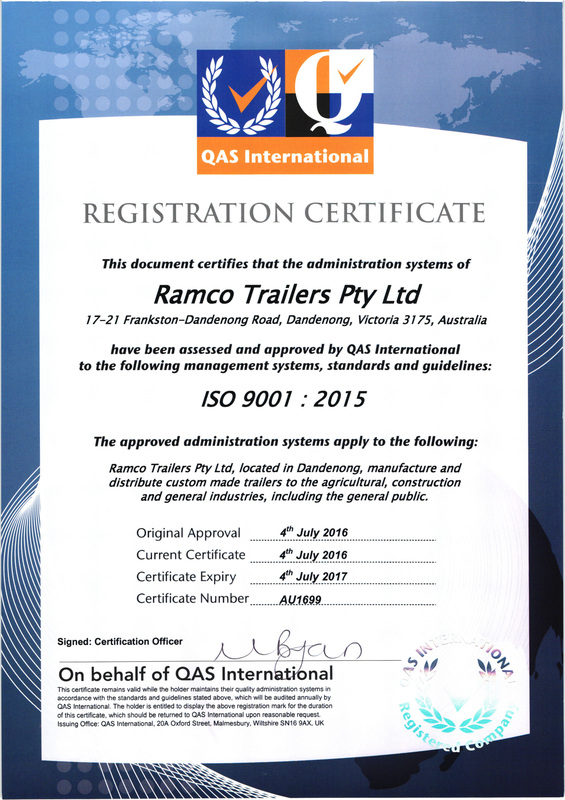 Ramco Trailers is amongst the prominent organizations, which are actively engaged in manufacturing and supplying an enormous range of high quality Galvanized Trailers in Melbourne. Believing in the motto to serve the clients with the highest commitment of quality service and customer satisfaction, we offer our Galvanized Trailers in different sizes as per requirements of our clients. For manufacturing our quality assured trailers, we utilize superior grade raw materials and latest technologies so that they are well appreciated for their ensured durability, excellent strength, optimum performance and high load bearing capability. Our offered range of Galvanized Trailers for sale is highly efficient as they can carry heavy loads and deliver them safely to their desired destination. These trailers are high in demand amongst our clients across Melbourne and surrounding suburbs. So why to wait for longer? Feel free to contact us today and fulfill your requirements of durable and excellent quality Galvanized Trailers at the best affordable prices.